The Steel Bridge Team designs, builds, and competes in a timed building competition that is made from various steel sections. The team has been an active student organization at the University of Oklahoma for over 20 years. 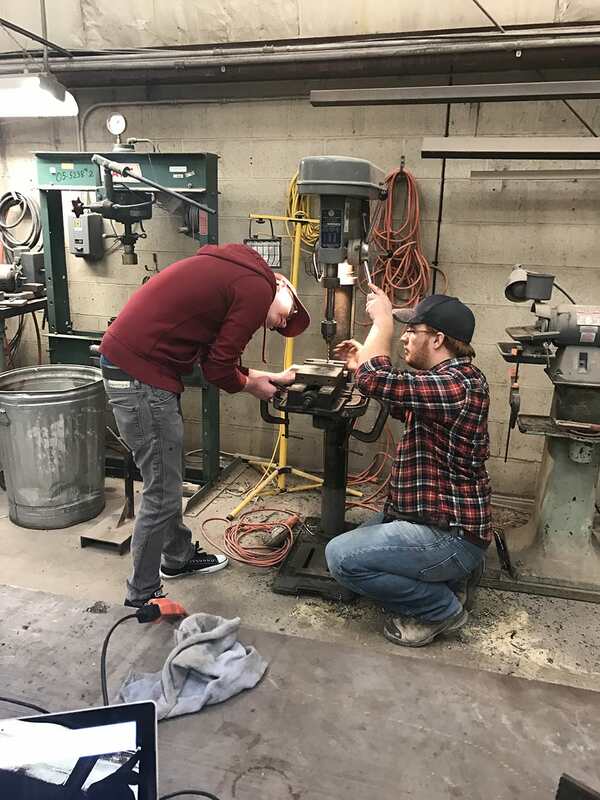 Students that participate in the Steel Bridge Team gain practical knowledge of how steel sections fit together in fabrication to increase efficiency of subsequent designs. 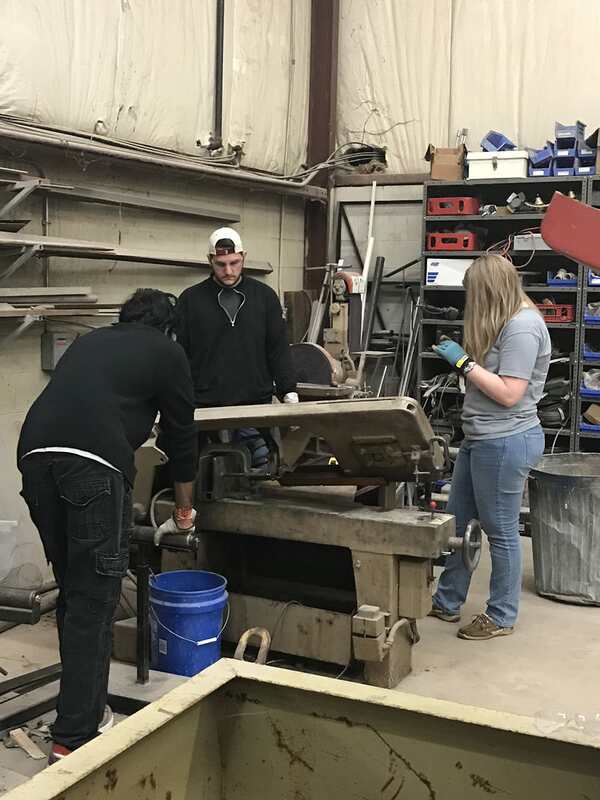 The design of the Steel Bridge gives students an actual small-scale structure to design, which allows the fundamentals of engineering to be applied in a practical scenario. 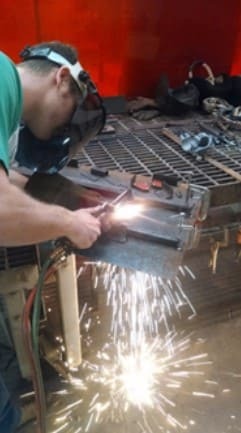 Students can learn industry practices such as welding, grinding, and milling to better understand what all goes into fabrication of the connections, which are applications of the principles learned in design courses. Our team has multiple Engineering Disciplines, and the team is compromised of all levels of college experience for a well-rounded dynamic. ASCE holds regional competitions each year, which the University of Oklahoma participates in. The University of Oklahoma will be sending a team to the regional competition being held at the University of Illinois-Carbondale and hopefully pursuit of the National Competition at University of Illinois at Urbana -Champagne. Being able to travel for the competition is rewarding for all of time and effort that the team puts forth, and the team is able to show the pride of the end product to compete with neighboring universities’ teams. Unfortunately, traveling for the competition is not free, which becomes fairly expensive having to account for all of the team members travel expenses, along with all the tools and supplies needed to build the bridge. The generous donation you have given will help offset all of these costs, so the team is able to participate and gain all the experience that is only gained by participating in such a studious competition. The team would greatly appreciate if you would share this page with your friends, family, and colleagues! The Competition team is only possible with your generous donations, and the OU Steel Bridge Team would like to thank you! Helps the team get to Carbondale Illinois. Pays for materials such as nuts and bolts for the bridge connections, to disposable equipment. Pays for materials such as paint for the bridge, drill and end milling bits for the connections. Pays for a member’s registration, transportation, and lodging at our regional competition for all 3 days. Pays for the entire cost of steel required for the bridge.